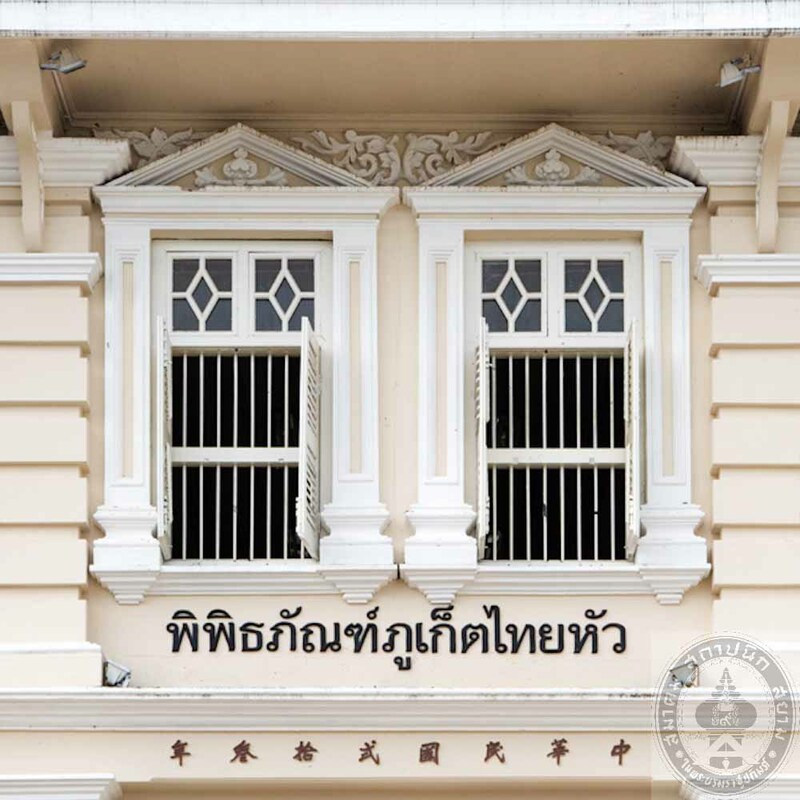 The museum of Phuketthaihua was once a Chinese shrine, and Chinese language school called “Hua-Bun” founded in 1911 which later was renamed as “Jung Hua” in 1946 and became “Thai-Hua” in 1948. In 1995 the Thaihua Phuket school moved to new location. The building that was built in 1934 thenbecome a alumni association. In 2002 the building was registered as National Monument. 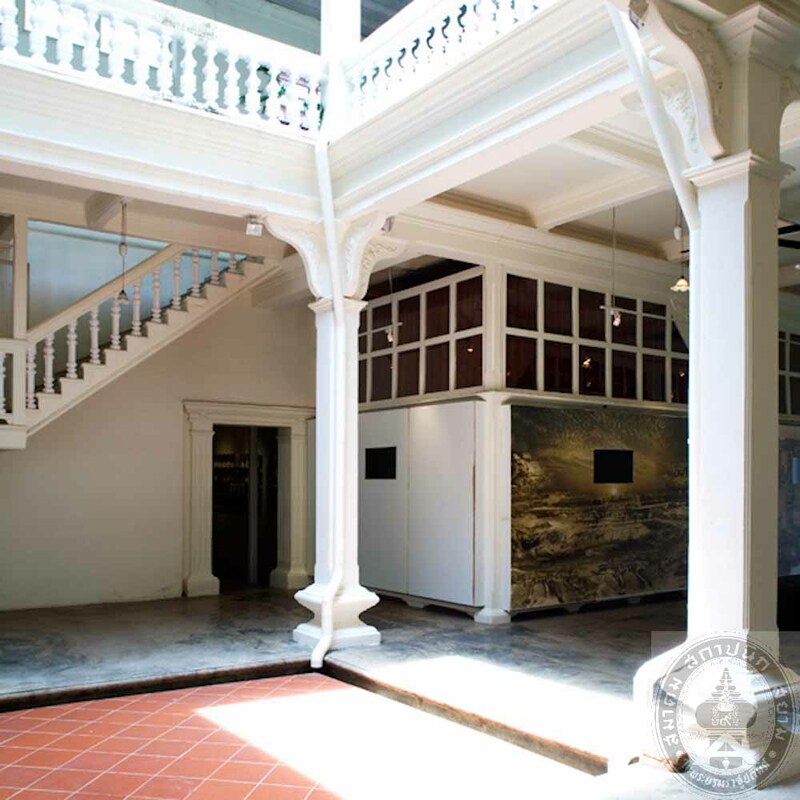 In year 2008 Phuket foundation renovated the building and open as Thaihua Phuket Museum. 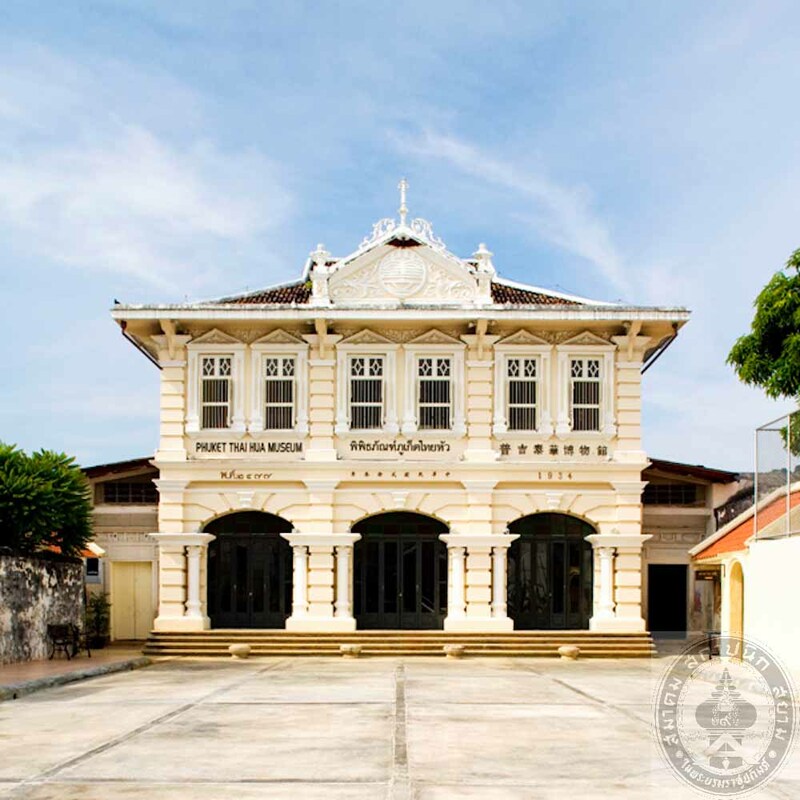 The museum is 2-storey building with rectangular plan and an open court in the middle. 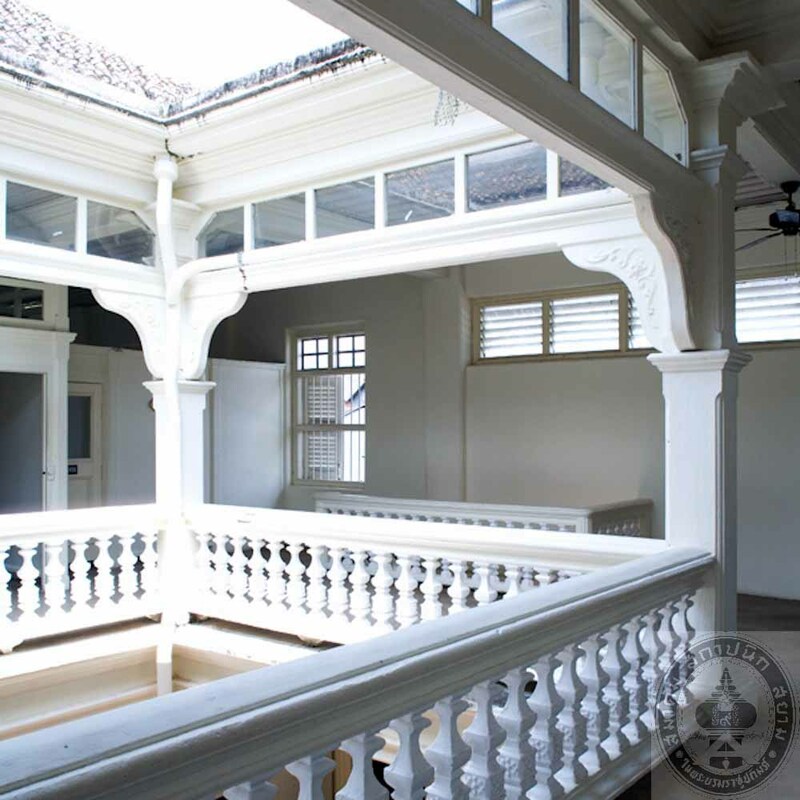 It has hip-gable roof and its most noticeable feature is the 5 steps staircase along the length of the building. 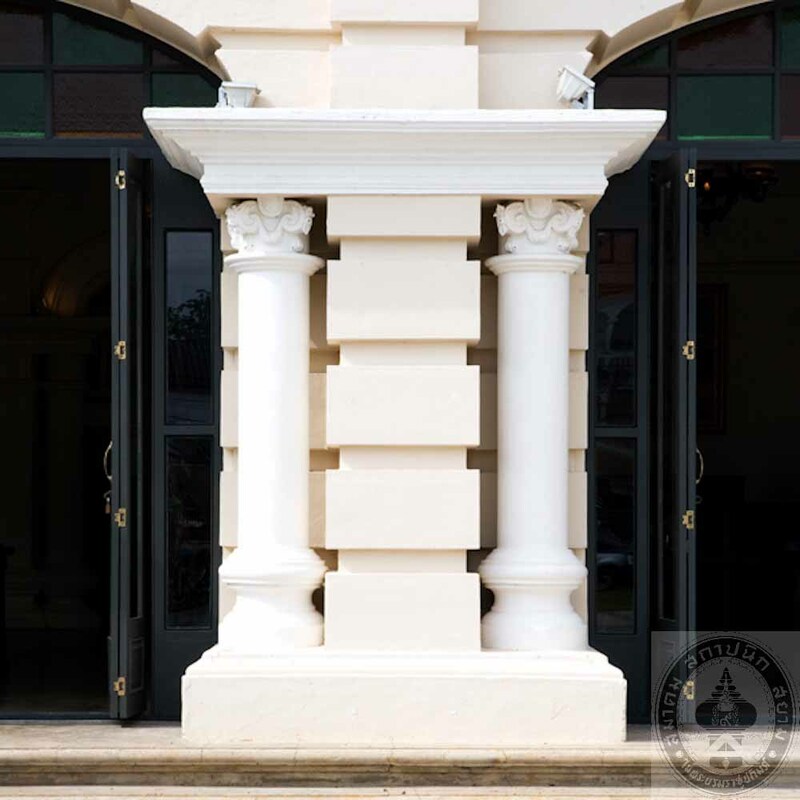 On top of staircase, there are 3 arches with Ionic and Corinthian columns. 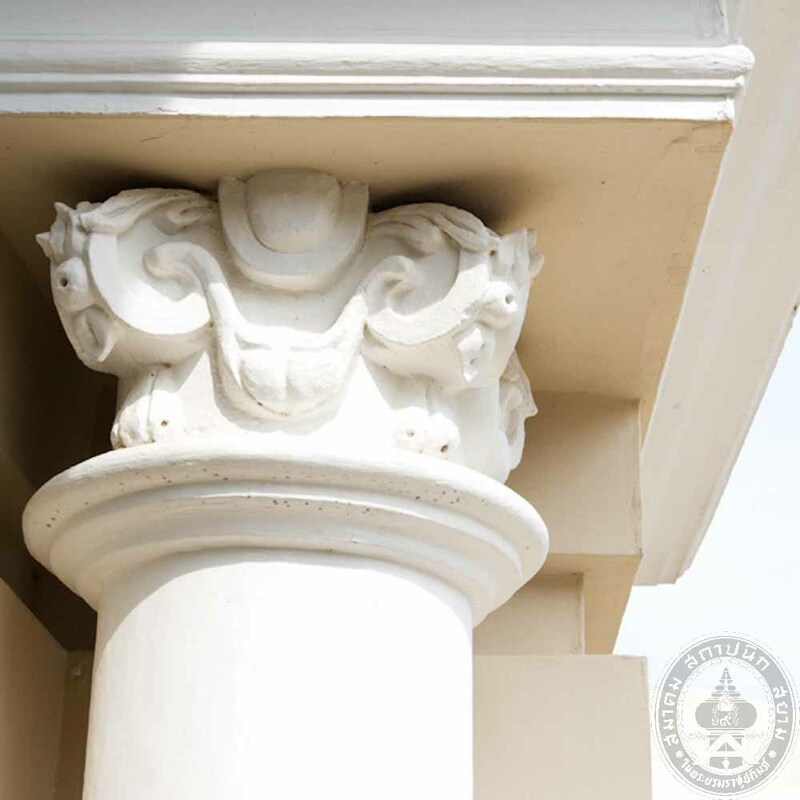 Walls are grooved and decorated with corbel and name board in English, Thai and Chinese language. The second story situate 3 windows chamber, each has 2 open void and on top of window frame a roman like pediment. Window panels are wood alternated with glass. 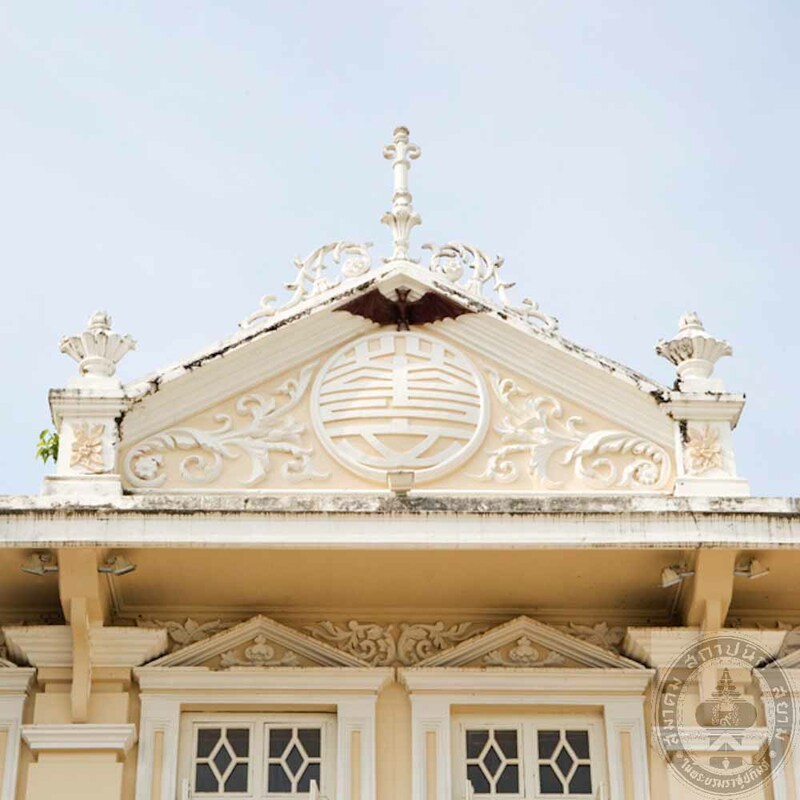 In the top-middle of each pediment is decorated with the stucco image of a bat. 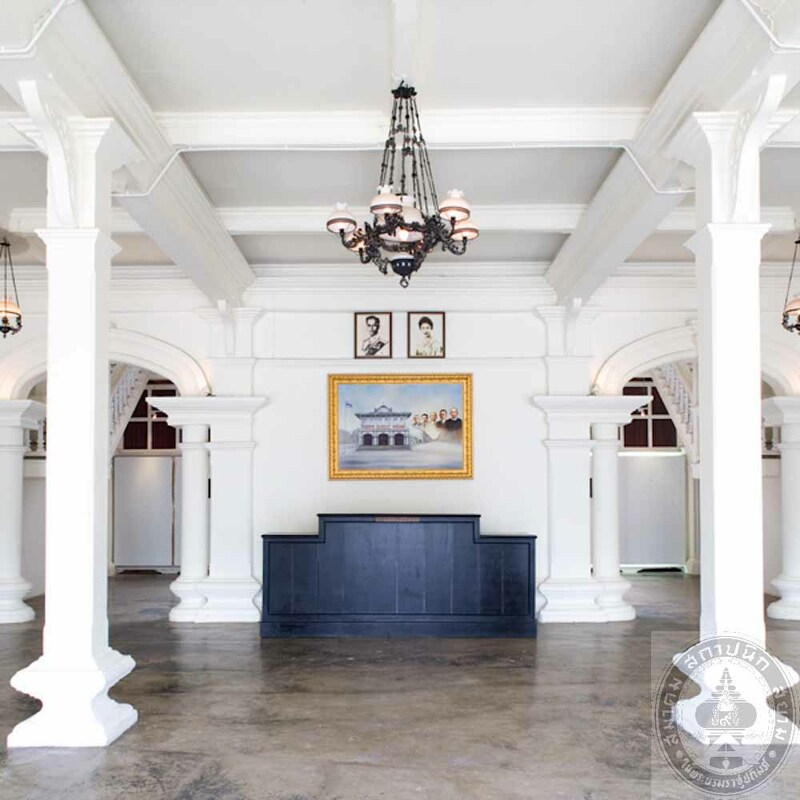 The building of Phuketthaihua School has presently been Phuketthaihua Museum in order to reveal Phuket’s background , cultures and local traditions. Above all , another main aim is to cause Phuket’s people and foreigners to realize the significance of Phuket’s origin. Thaihua Phuket Museum has shown their effort on their history and architectural heritage conservation by managing to exhibition the story of their local history, how the Chinese had moved here and settle down and the way they lived their life; their belief and intellectual knowledge together with many biographies of the important people of the old Chinese school as to educate visitors and local Phuket resident to their valuable history.